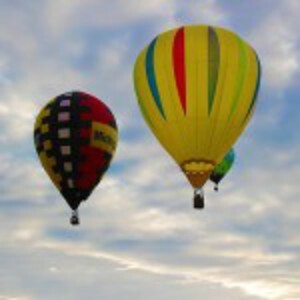 More than 50 spectacular balloons will fill the Southeast Michigan skies with color and spectacle. But the Michigan Challenge is a ballooning competition but there is lots more than just balloons. It's a weekend filled with excitement, entertainment and fun. Don't miss concerts, special events, great shopping and restaurants in Howell on Friday, Saturday and Sunday. Downtown is about one mile east of the balloonfest ground on Grand River Avenue. It's a pleasant walk from the balloonfest grounds past Victorian homes. Taking your car downtown? Parking passes allow you to re-enter the grounds as often as you wish on the day indicated on the pass. Thanks to our sponsor Cleary University. The City of Howell is located midway between Lansing and Detroit on I-96 and at the western end of M-59. The balloonfest takes place at the Howell High School complex, with entrances on West Grand River Avenue, M-59 and Highlander Way.